March 2009, Beijing – UNDP China Goodwill Ambassador, actress/singer Zhou Xun teams up today with the online travel service company Ctrip in a carbon-offsetting scheme, the first of its kind in China designed to encourage travelers to reduce their carbon footprints by contributing to tree planting projects. This partnership is part of the efforts initiated by OUR PART, a national environmental awareness campaign between Zhou Xun and the United Nations Development Programme (UNDP) in China in an attempt to promote sustainable lifestyles and green actions to combat climate change. Championing this carbon offsetting initiative, Zhou Xun announced that she will contribute to tree planting projects to offset carbon emissions generated by her air travels in the past year. She hopes that her example will encourage the public to act to reduce its own carbon footprints. “Ctrip is the first company in the tourism industry in China to promote carbon offsets to minimize the greenhouse effect and advocate traveling in a low-carbon, environmentally-friendly manner,” said Tang Lan, VP of Sales and Marketing at Ctrip. Ctrip’s strategy is to actively remind their customers about the amount of carbon emissions generated during their flights, as well as the number of trees needed to offset emissions. Meanwhile, customers are encouraged to choose to fund the planting of the number of trees that correspond to their carbon emission on a voluntary basis. Moreover, the customers can also fund trees with their Ctrip points. Once a customer opts to redeem points in exchange for trees, Ctrip will make a payment for the same amount to Roots and Shoots, a respected environmental non-governmental organization based in Shanghai. It is widely known that carbon emission is a major cause to global warming. The airline industry and the tourism sector are the major greenhouse gas emission polluters. 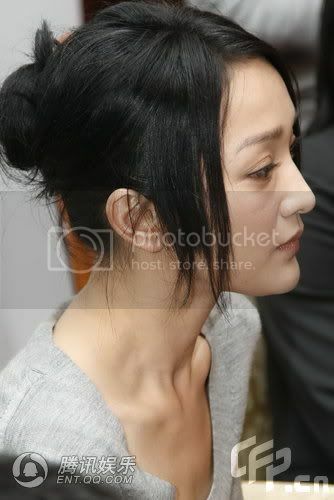 Zhou Xun is the first National Goodwill Ambassador (GWA) appointed by UNDP China in April 2008 focusing on promoting environmental sustainability. In June 2008, UNDP China partnered with the Shanghai International Film Festival to establish a carbon neutral scheme. As UNDP China GWA, Zhou Xun was the first festival goer to respond to the cause.